Funimation has announced that they will stream Sword Art Online: Alicization on their FunimationNow distribution service this Fall 2018 season. The company also announced that seasons 1 and 2 will be added to the catalog with both Japanese with English subtitles and English dubs. There will be no simuldub for the upcoming Alicization anime. 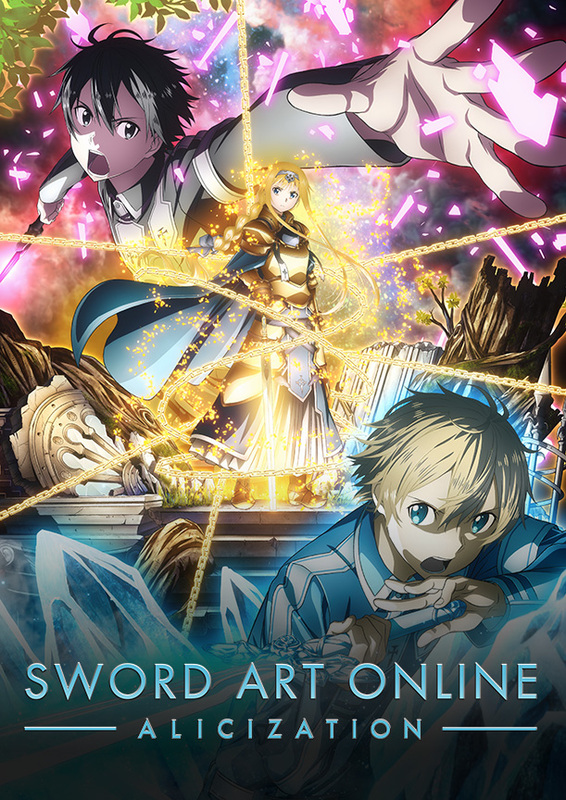 Sword Art Online: Alicization will also stream on Crunchyroll and Hulu and premieres on October 6. The anime will air for four quarters of a year or 4-cours. It will adapt the entirety of the “Alicization” arc from the Sword Art Online light novels. It is the longest arc in the series and is longer than the “Aincrad,” “Fairy Dance,” “Phantom Bullet,” and “Mother’s Rosario” arcs combined. Which streaming service will you watch the third season on?